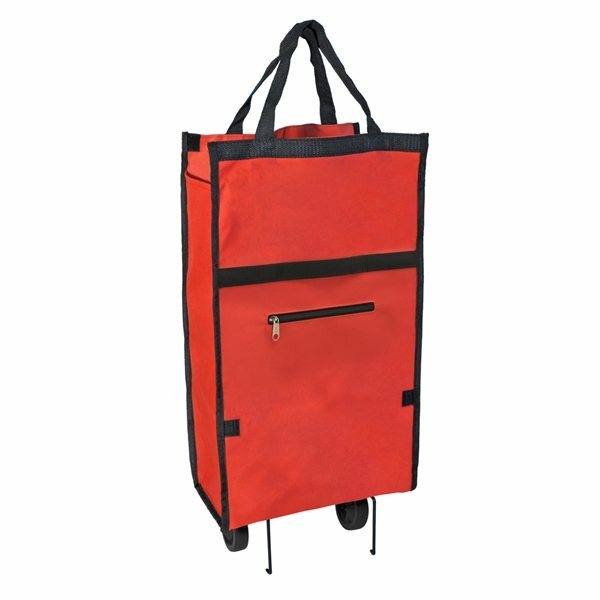 It’s made with durable 600 denier polyester and has wheels that fold out and securely lock for easy movement across the floor and up and down stairs. This folds flat for easy storage when not in use. Sturdy really, much better than we had thought and also the imprint was extremely nice! I was very impressed with how legible the printing was, very professional job! I liked the gift box. It made the presentation of the favors very sharp This giveaway turned out great. Our customers were pleased with the product. Will be placing another order as soon as this one runs out. I LOVE how clean and clear you guys print. No one does it this well.. No streaks, clean lines. Fabulous. it actually looks better in person than online. We will continue to use ONLY AnyPromo because of the great products and Rosa giving crucial advice!